Manila, Philippines – former Child star CJ Ramos, Crommel John Ramos in real life, was arrested by police authorities on July 31 in a drug buy bust operation conducted by the Caloocan City Police. Reports says, Ramos was caught in the act buying illegal drugs from Louvela Gilen, who was also nabbed in Tandang Sora, Quezon City. National Capital Region Police Office (NCRPO) Director Guillermo Eleazar said that Caloocan station drug enforcement team conducted the operation after receiving information that an illegal drugs transaction is happening in the area. Two sachets of suspected methamphetamine hydrochloride (shabu) were recovered from Ramos and Gilen. “Natukso lang po talaga ako (I was just really tempted),” he said. Ramos said that he started doing it at the age of 21, six years after he left showbiz. He said that he was also asking for money from his parents who were not aware of what he was doing. Ramos then turned teary-eyed as he pleaded to his former showbiz colleagues and friends to stop using illegal substance. “Your life is up to you. Destroy your lives…I hate drugs,” the former actor said. 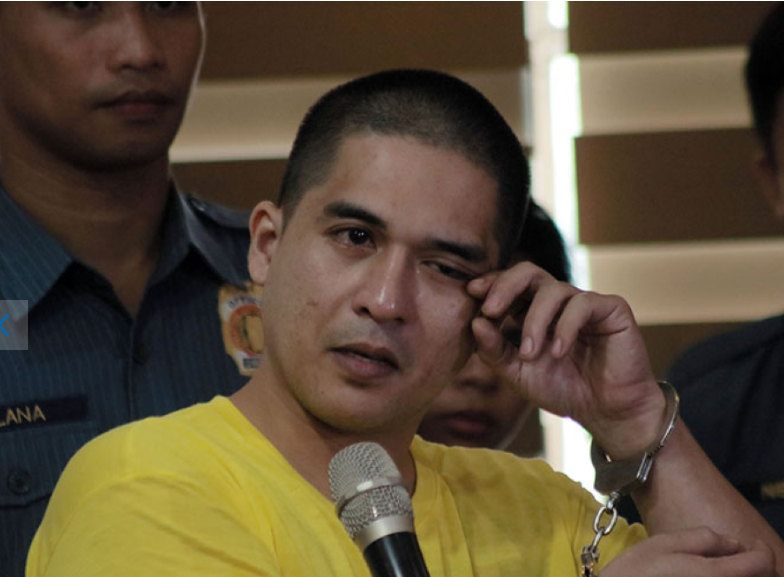 Police authorities are now preparing the charges to be file against Ramos and Gilen for violating the Republic Act 9165 or the Comprehensive Dangerous Drugs Act of 2002. The two are currently detained at the Caloocan City Police Station Detention Cell.